Classic lecterns become the benchmark in the industry; the Media Manager and Media Director are staple products in our lectern line, and they are flexible enough to accommodate the needs of virtually any classroom. 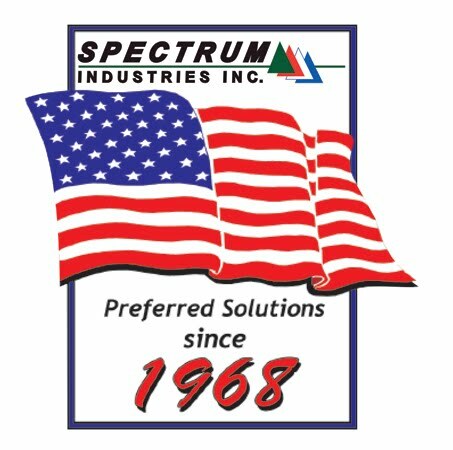 Spectrum Industries has been designing audio-visual instruction and presentation lecterns for several decades now. In that period of time, we have modeled ourselves as champions of continuous improvement. Our lecterns are certainly no exception – each model we release reflects the most recent customer input combined with diligent and conscientious product design. Over the years instruction and presentation requirements have changed to adapt the audio-visual technology of today. Some customers want multi-media rich classrooms. Others want accessible, maneuverable lecterns. Most everyone wants equipment that allows for instructional and presentation adaptability. As needs change and technologies advance, the Media Manager and Media Director lecterns have consistently kept our customers satisfied for decades. Media Manager Occasionally a product comes along that does so much, for so many that it becomes the benchmark in the industry. The Media Manager is one of those products. It comes standard with all the features customers have asked for. At the top of the list is accessibility, maneuverability, and ease of integration. Besides the standard features, accessories can be added onto the Media Manager for classroom customization, such as the flip-up document camera/task shelf. 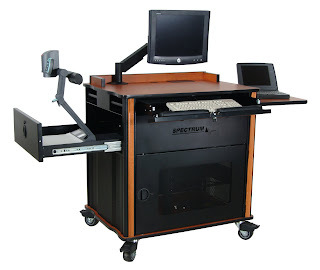 Media Director Spectrum’s Media Director Lectern is designed to simplify the integration and functionality of audio-visual rich, multi-media classrooms. We've designed the Media Director so that integrating one couldn't be easier. As with all of our lecterns front and rear rack-rail equipment mounting simplifies installation for any equipment configuration with enough space for an internal CPU. Standard rack rail brackets allow the front and rear rack rails to be moved further inside the unit, if necessary, to accommodate larger knobs and plugs. The Media Director is the perfect tool to professionally control your larger training environments with ease. Ideal applications include college and university learning environments, corporate and government training rooms and any other A/V instructional environment. 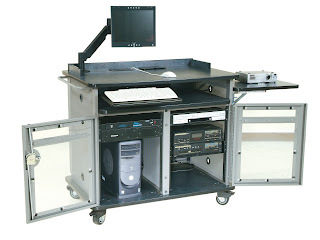 Both the Media Manager and the Media Director are staple products in our lectern line, and they are flexible enough to accommodate the needs of virtually any classroom. Contact your local sales representative to learn more about our special offer on the Media Manager and Media Director or visit Spectrum’s website!